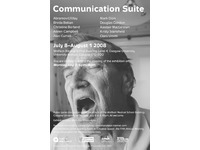 Exhibition exploring the role of communication in art and medicine, curated by Christine Borland. 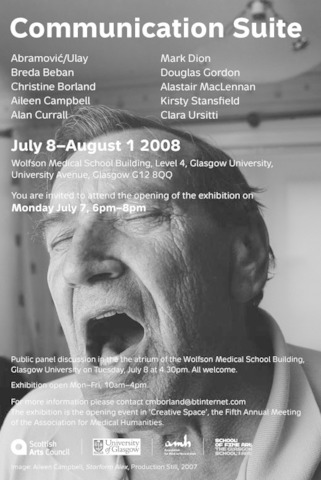 Ten extant and newly commissioned works inspired by, and be exhibited in, the rooms at the University of Glasgow’s Medical School where students are taught how to communicate with patients through role-play with actors. I showed three works in this exhibition. Two were new works, one of which was shown in relation to an extant work.